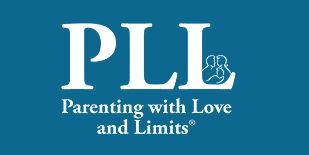 Parenting with Love and Limits (PLL) is an evidence based practice that can reduce residential lengths of stay and can also be used to prevent residential placement for teens. Clients and their families participate in a 6 week group and a minimum of eight to twelve family therapy sessions. Through this process, teens and their families learn how create a balance of empowerment and structure into the routine of the teen and in so doing improve the teen’s behavior while reducing family stress and increasing their readiness for change. After the eight to twelve week “active” phase of treatment they continue with a minimum of twelve weeks of “aftercare”. For those teens in residential care the aftercare phase will usually coincide with the discharge from placement. The first 90 days after discharge is the point of highest relapse risk and the added support has shown to reduce a possibility of return into residential care. NAFI Rhode Island maintains two PLL Teams and can treat up to 60 families per year. To read more about the national PLL organization click here.